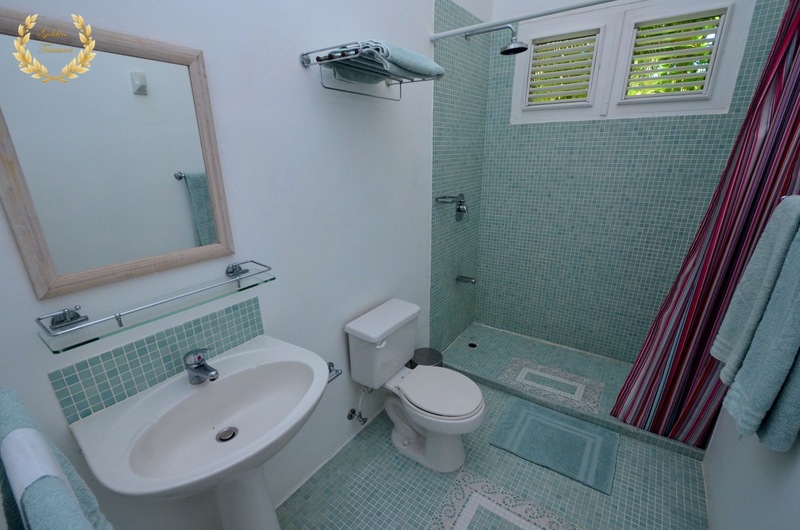 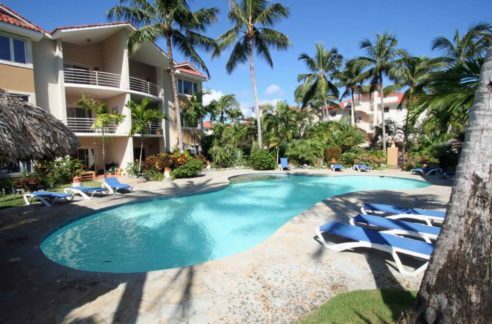 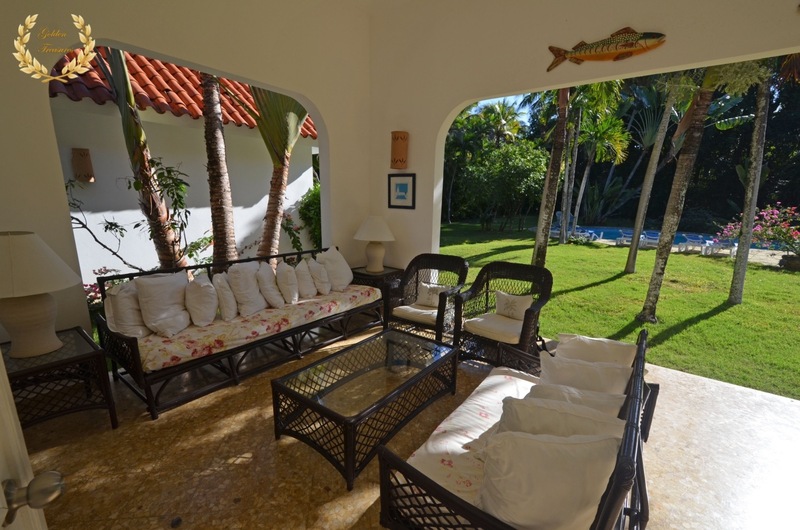 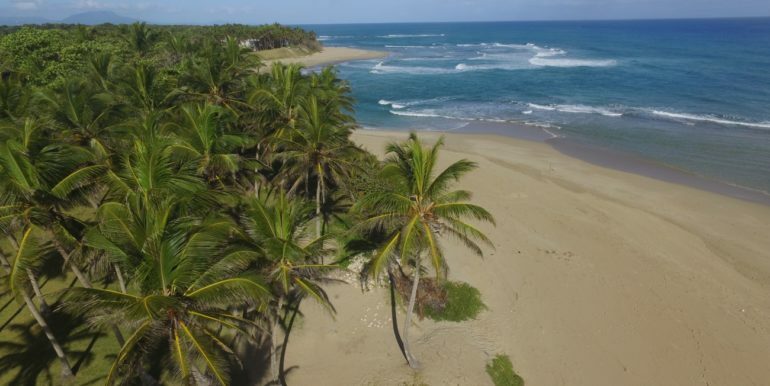 Beach Access Villa For Sale in Cabarete, Dominican Republic. 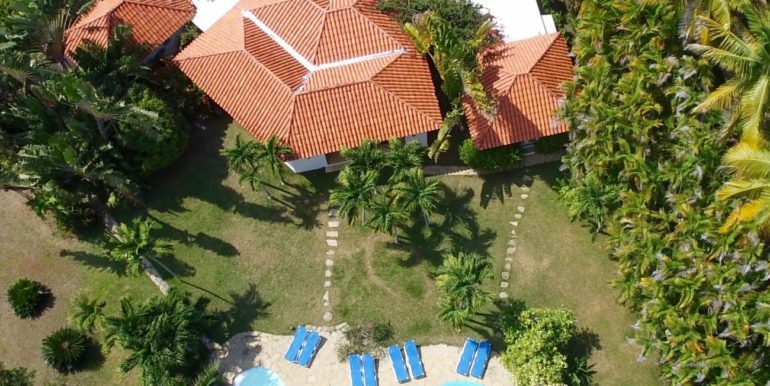 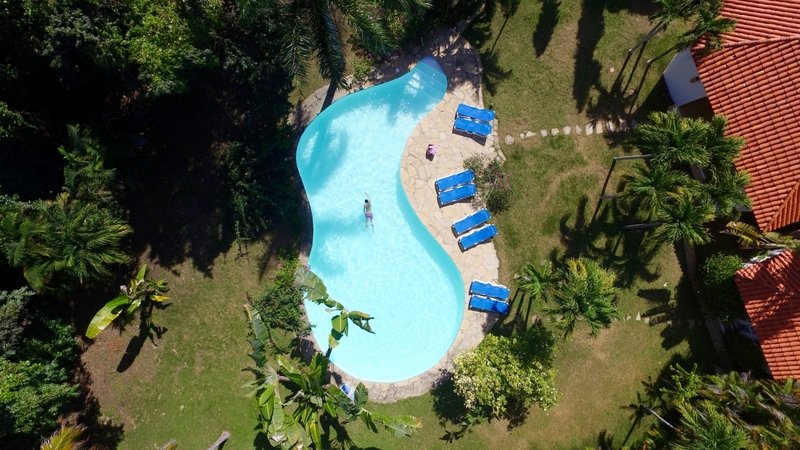 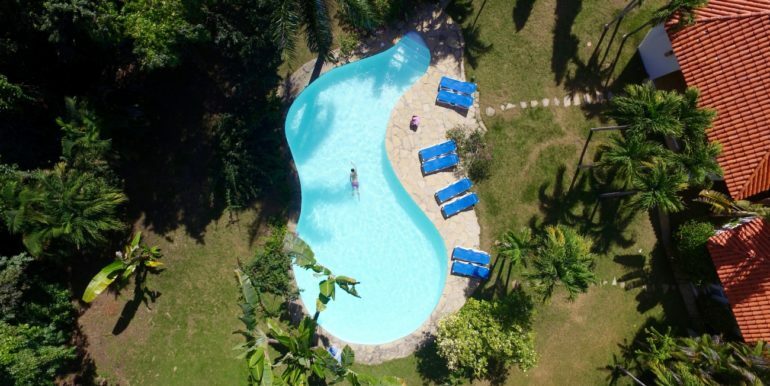 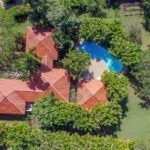 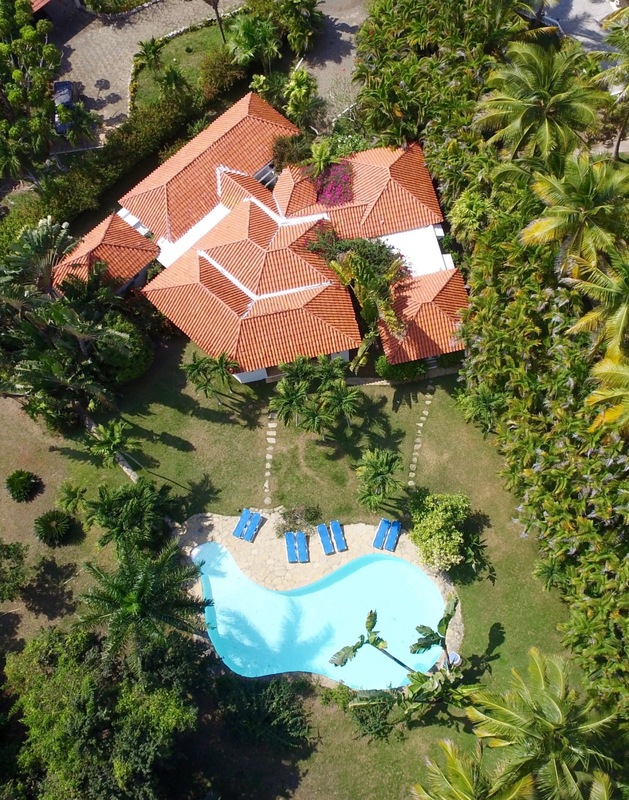 This beach access villa for sale in Cabarete is located in an upscale residential area, and has 5 suites, 4 1/2 bathrooms, and a generous swimming pool surrounded by green gardens and Caribbean palms. 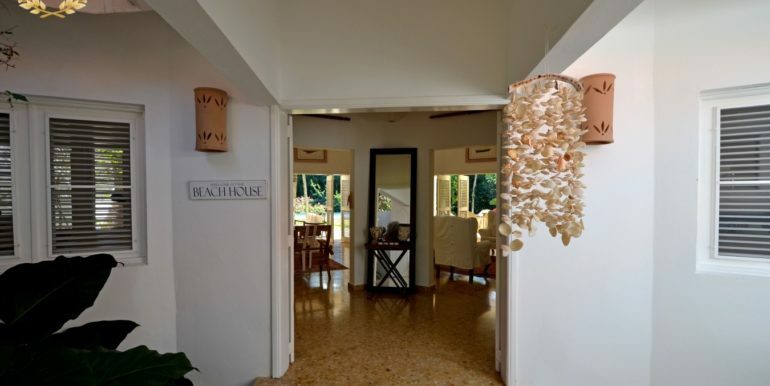 The villa has an exquisite style, built in one floor with great taste in architecture and light tones decoration in the entire house. 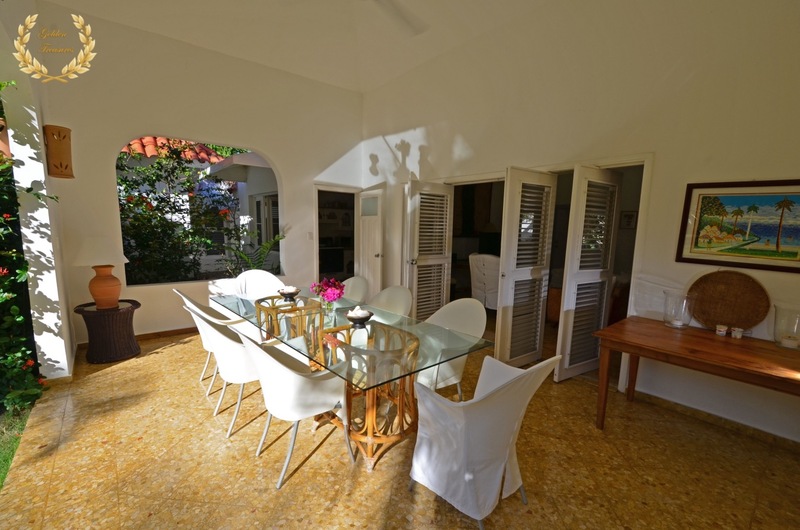 The terrace opens to the fantastic garden in the back, with covered balconies, dining and lounging areas. 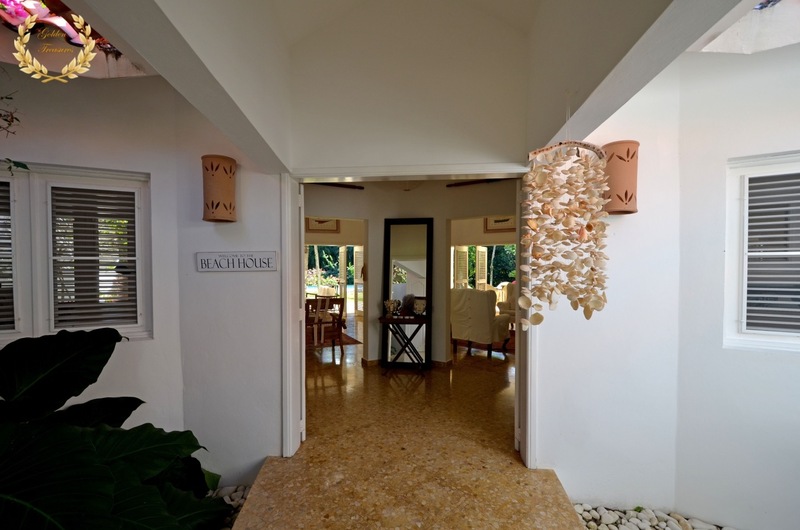 When you enter the house you feel a quiet warmth as if you were in your own home, and the refined elegance makes it feel like a fancy boutique hotel. 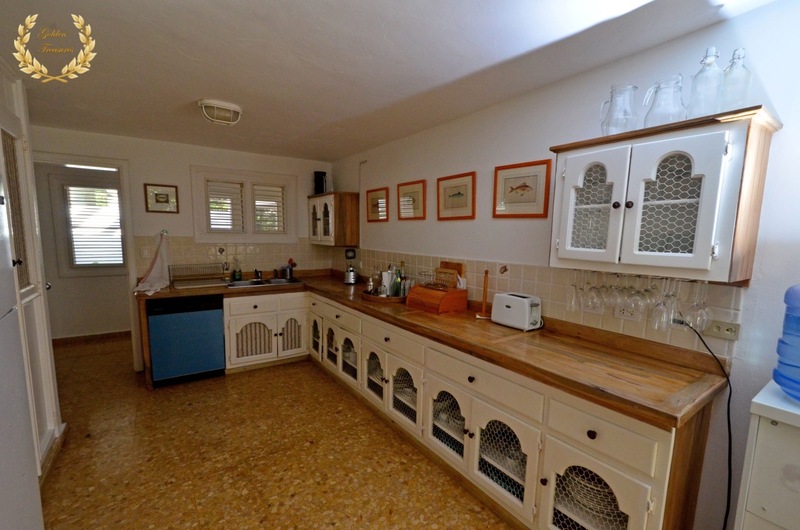 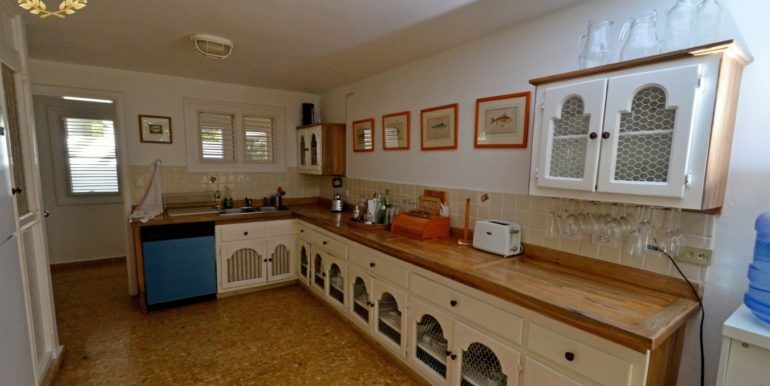 The villa kitchen is completely equipped with high quality fridge, stove, oven, microwave, coffee machine and other appliances. 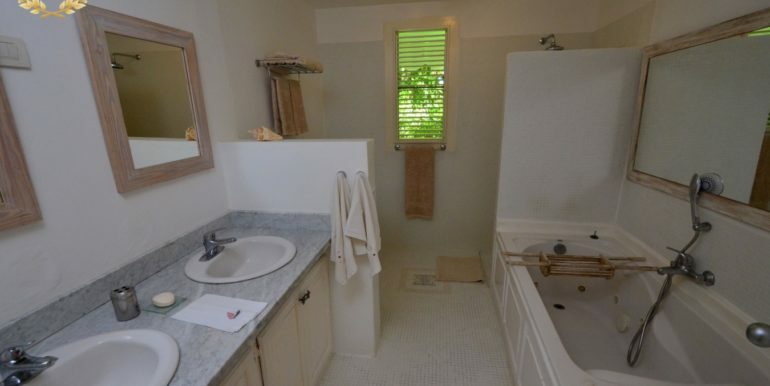 The laundry area includes dryer and washing machine for your convenience. 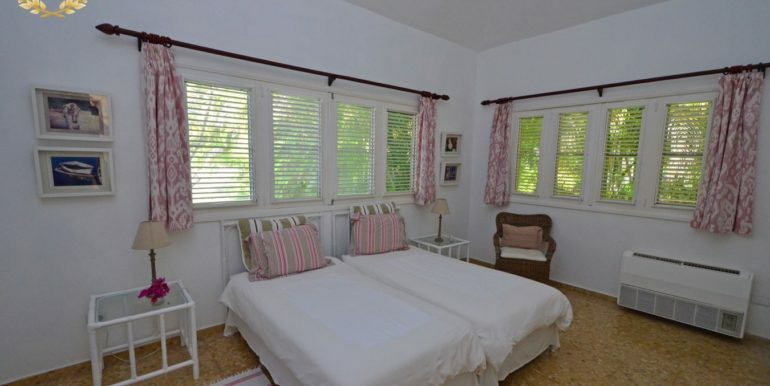 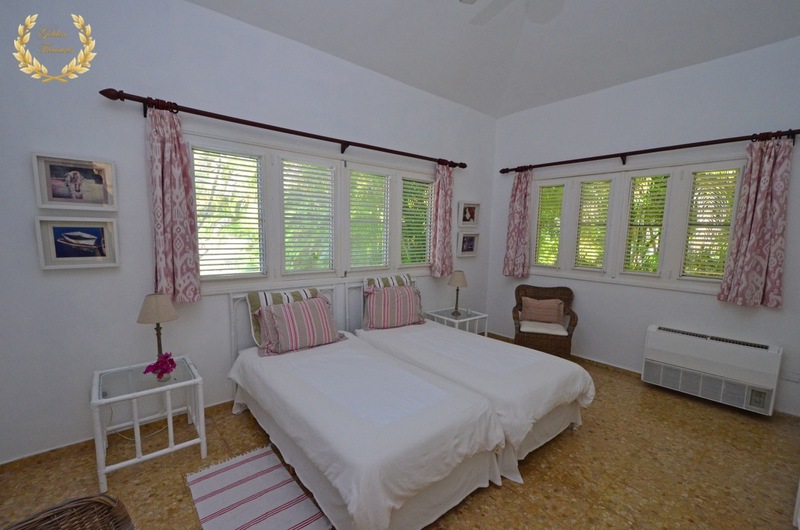 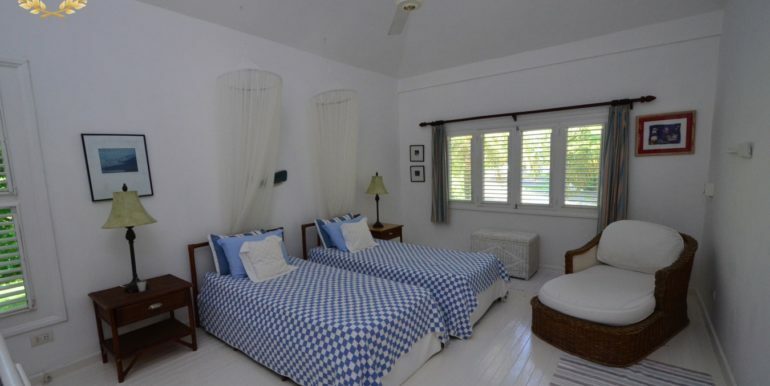 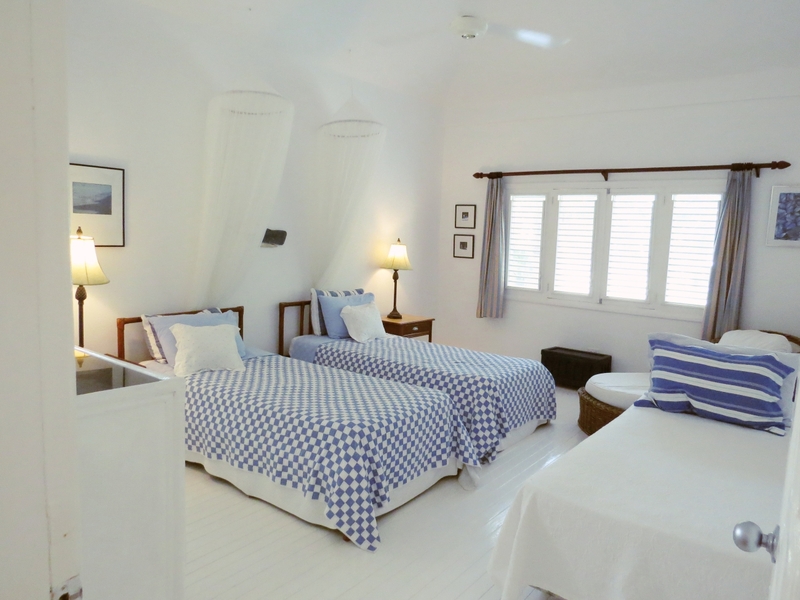 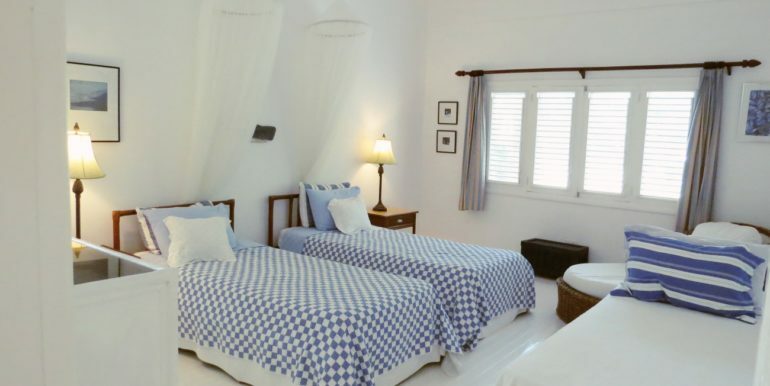 The bedrooms are all air conditioned, and include ceiling fans in case someone has that preference. 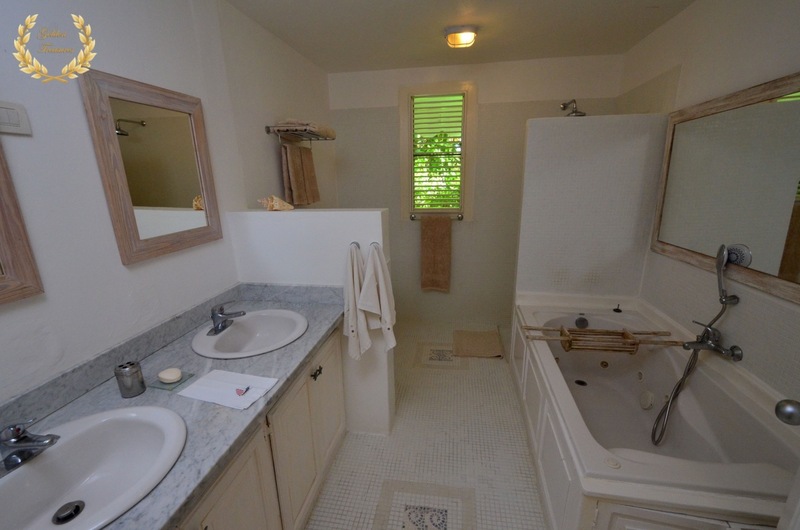 Two of the suites have whirlpool baths and walk in showers, also the two other bedrooms are ensuite. 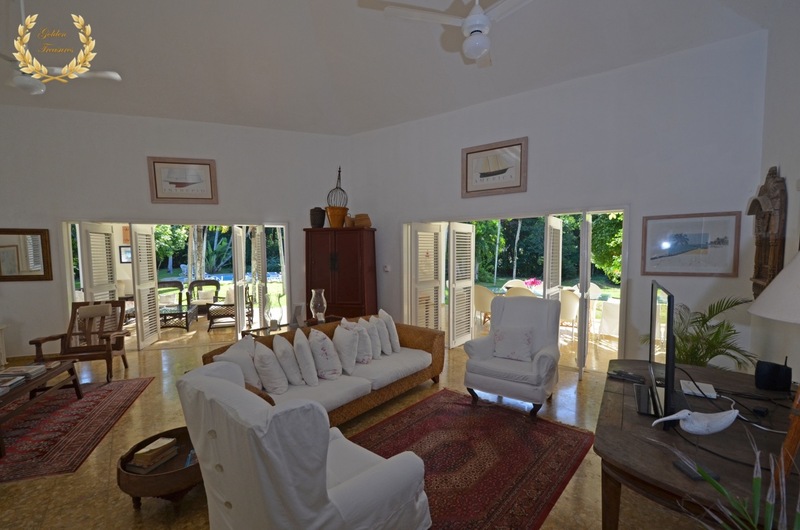 Marble flooring and vaulted ceilings add a distinctive touch of class to the overall house decoration. 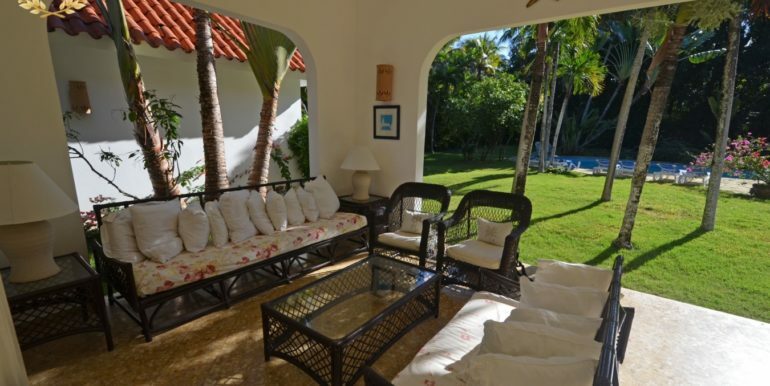 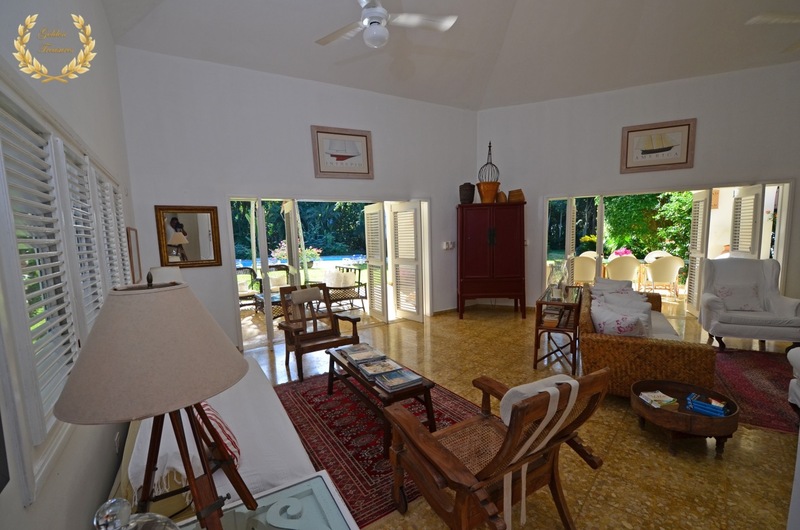 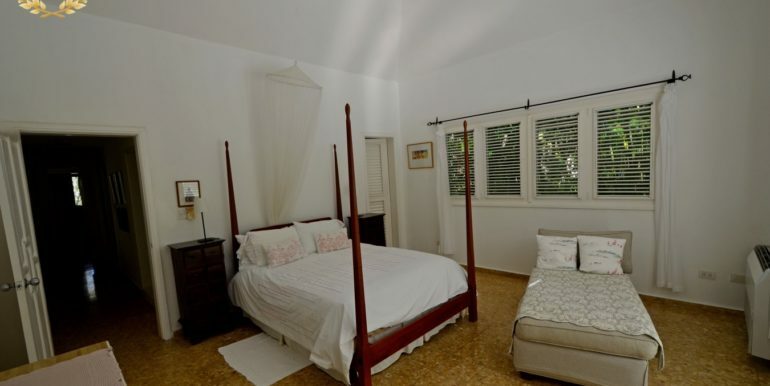 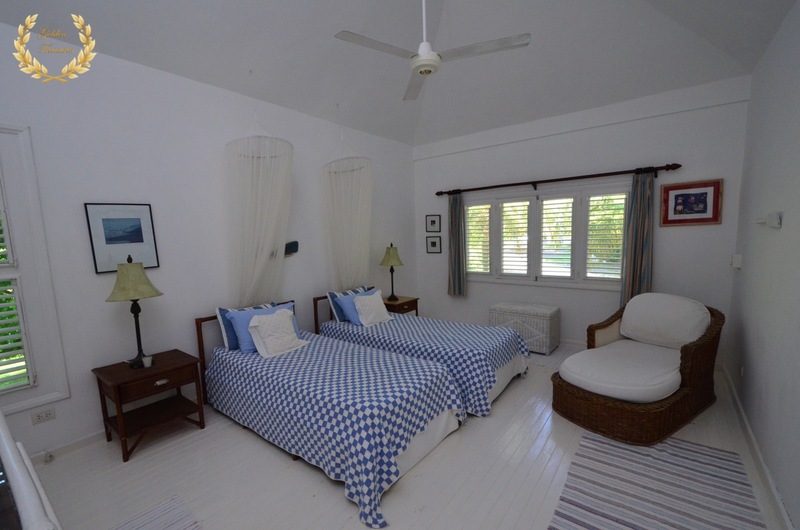 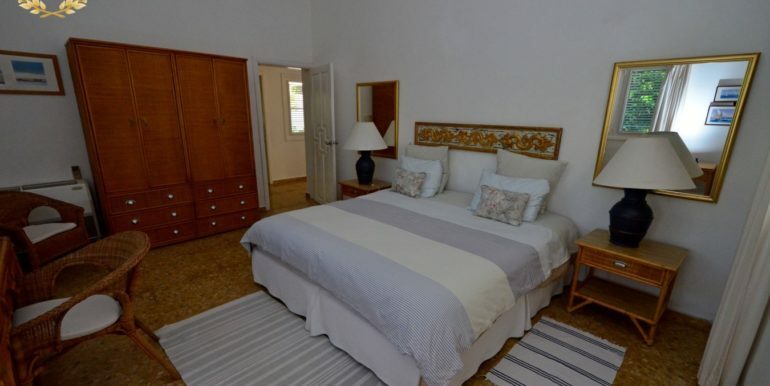 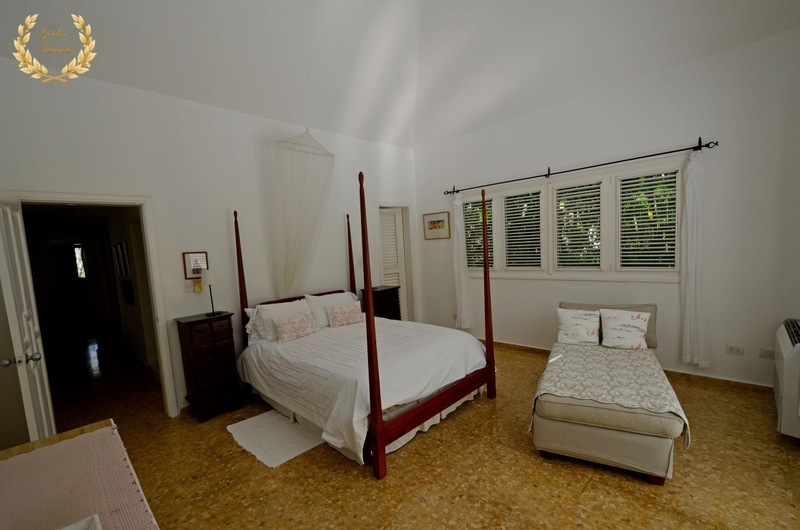 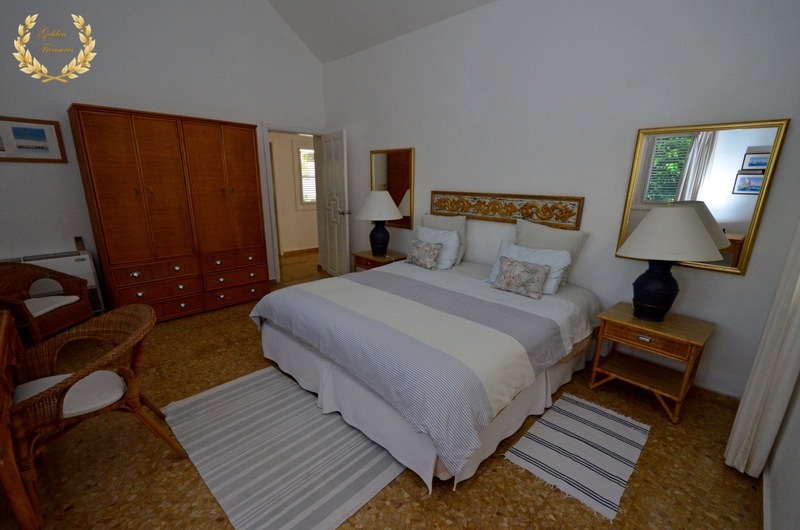 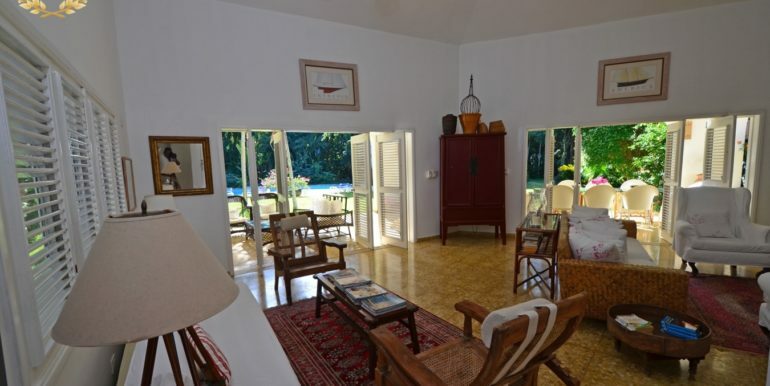 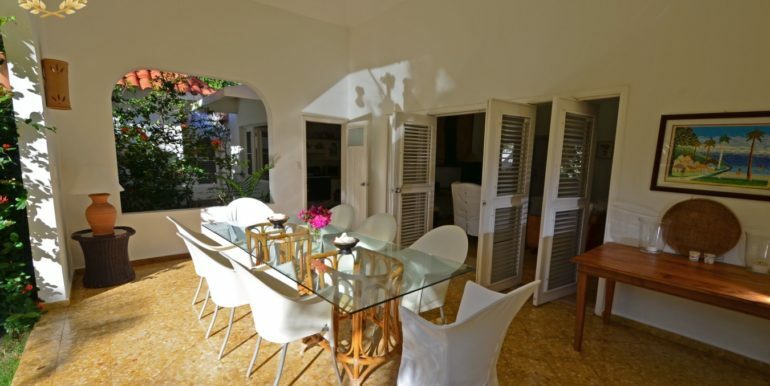 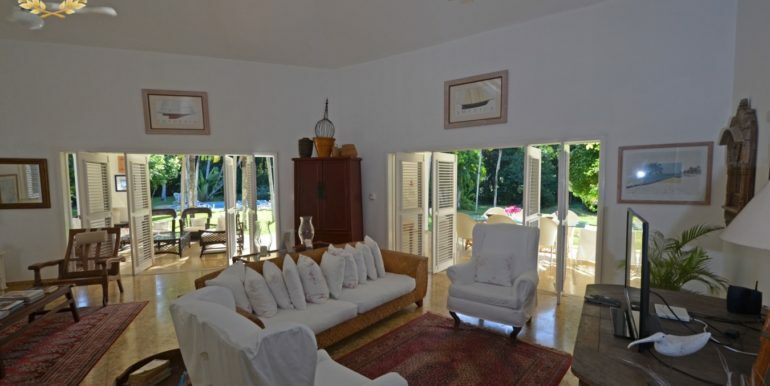 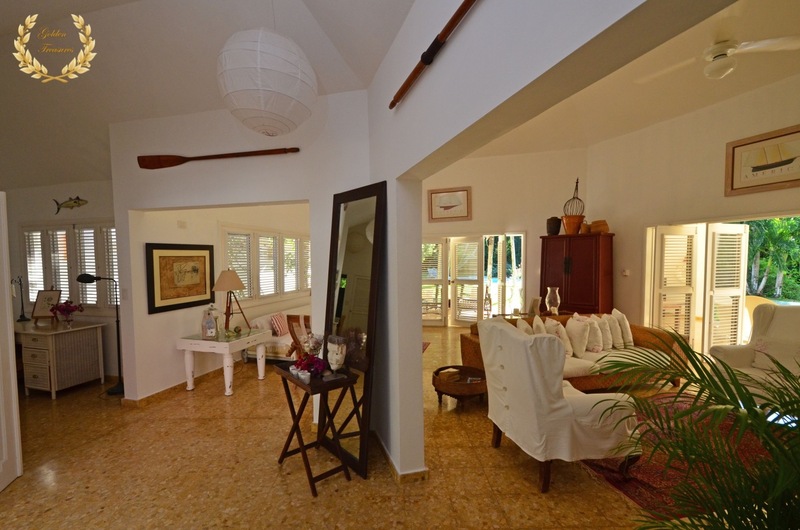 The villa has access to a secluded beach just 2 minutes away, walking distance. 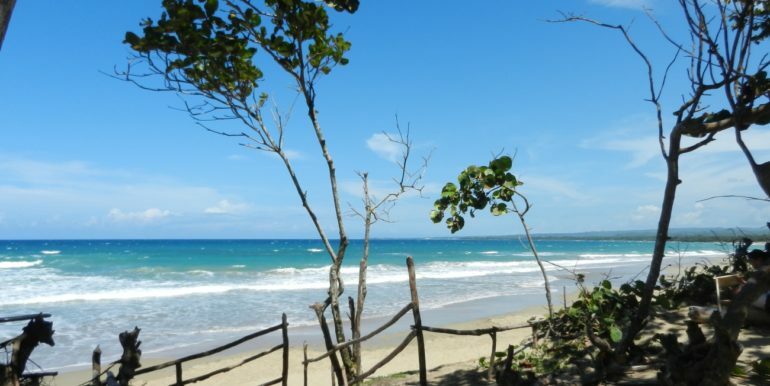 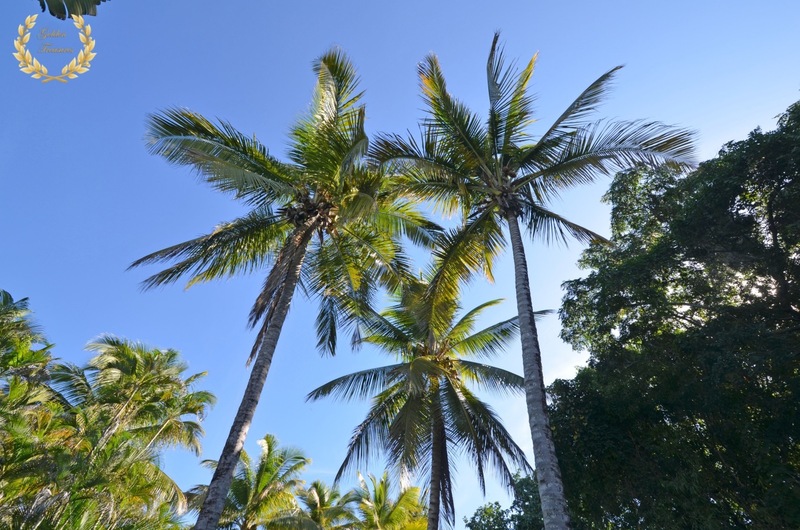 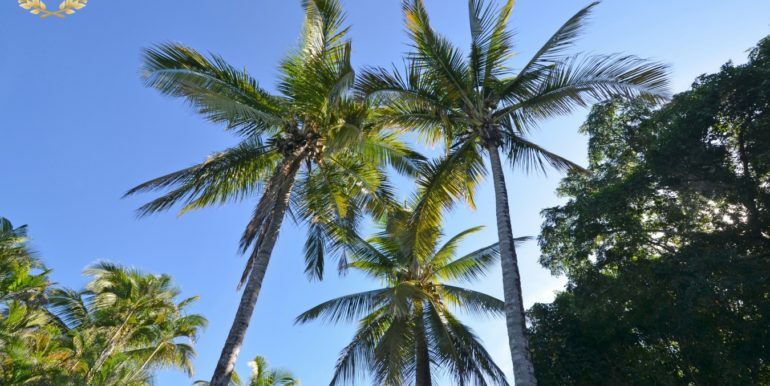 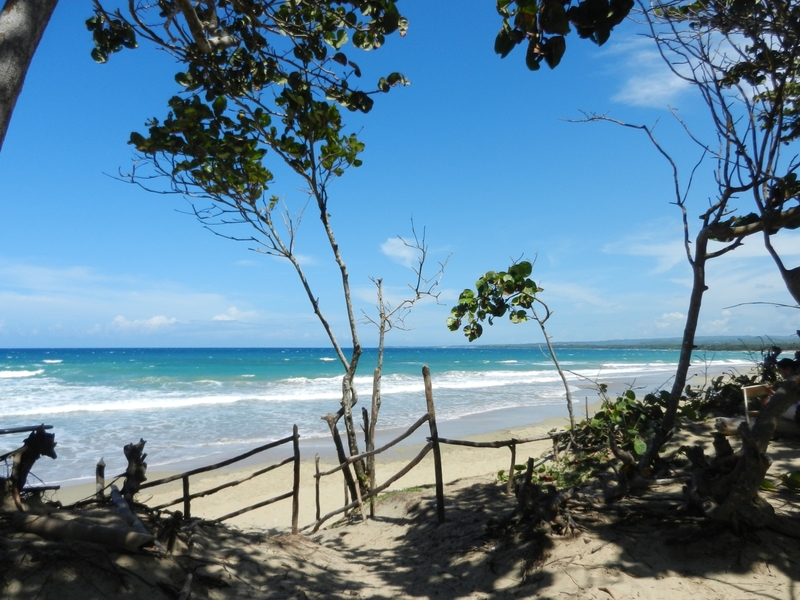 Beaches in the North coast areas of Sosua and Cabarete are just 5 minutes away if you choose to be in the more open, public beaches, and the restaurants and nightlife of Cabarete makes it worth your while. 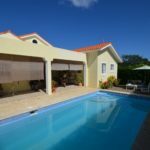 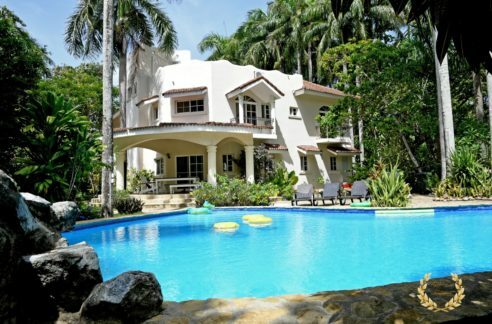 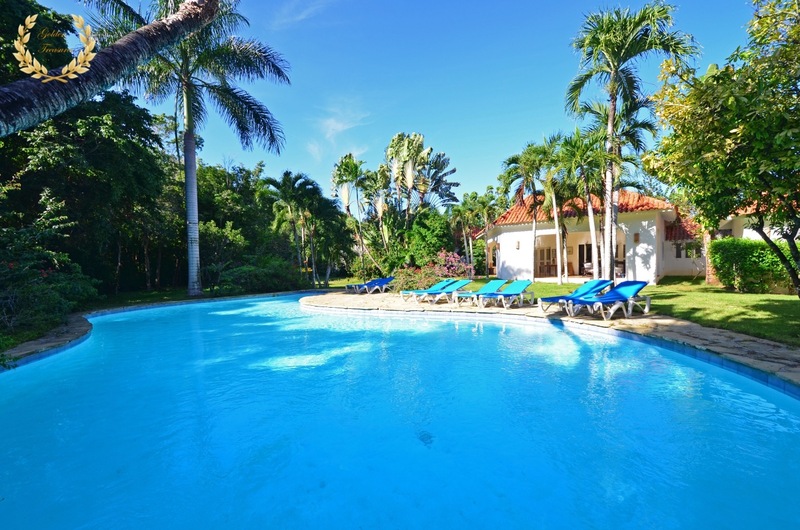 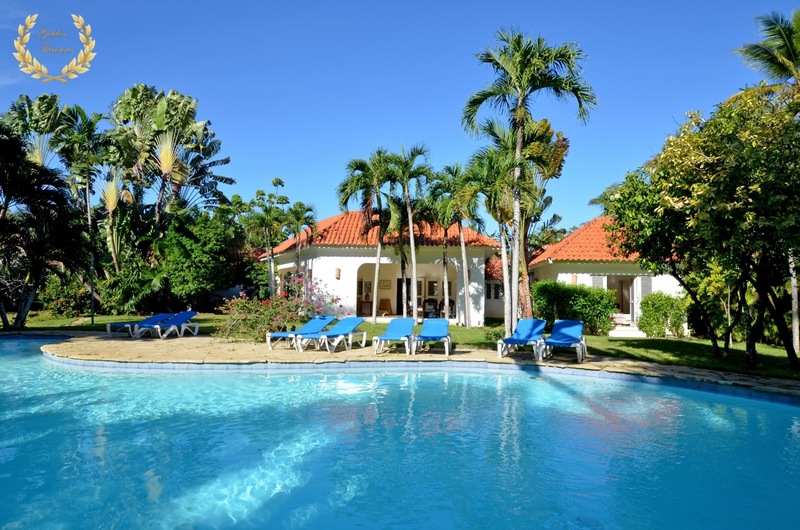 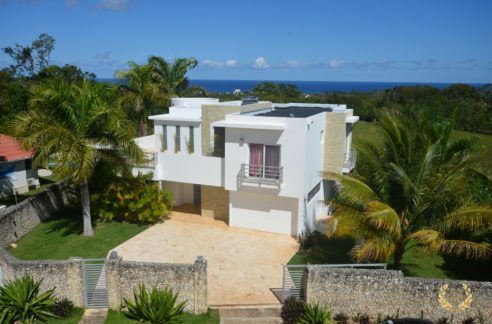 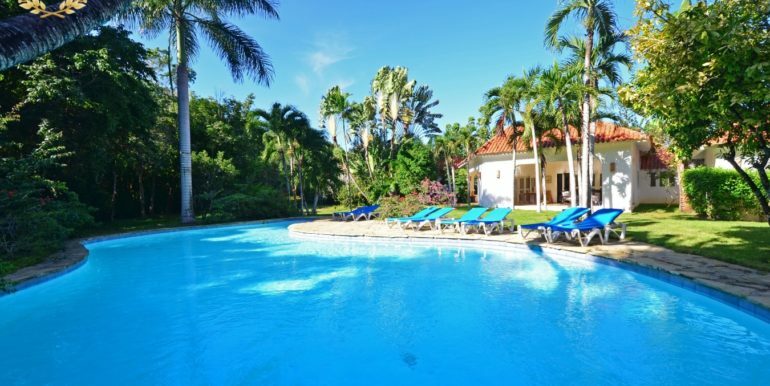 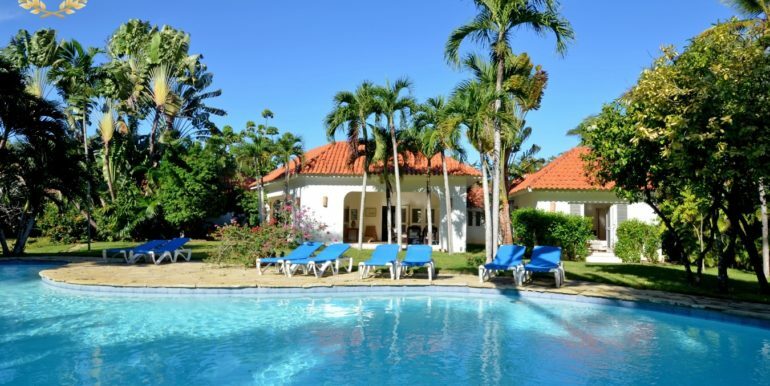 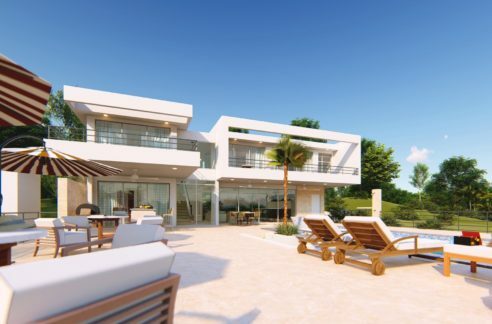 Anyone seeking a luxury villa for sale in the Dominican Republic should take a serious look at this one. 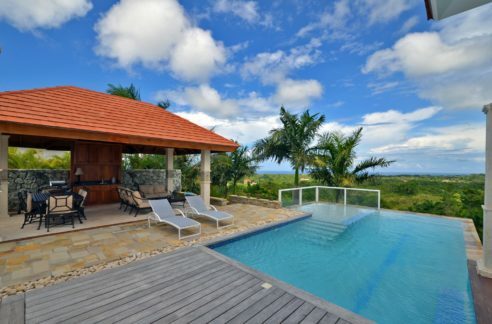 The land size is 2466m²= 26543.80ft² and the covered area of the villa is 587m²= 6318.415ft². 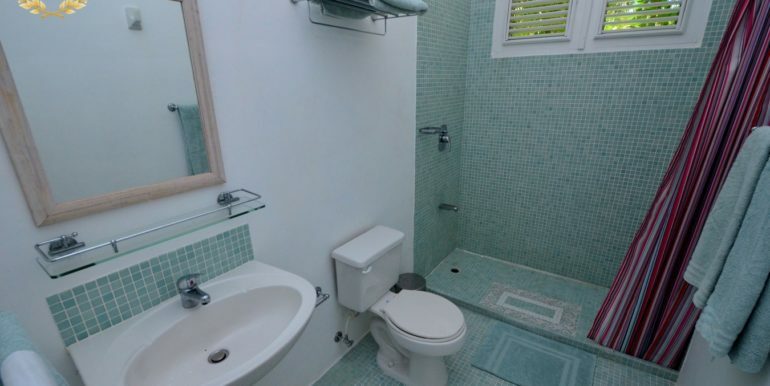 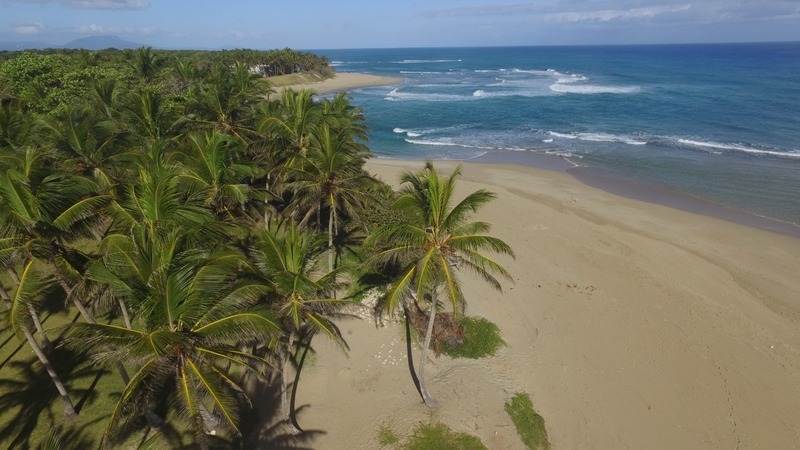 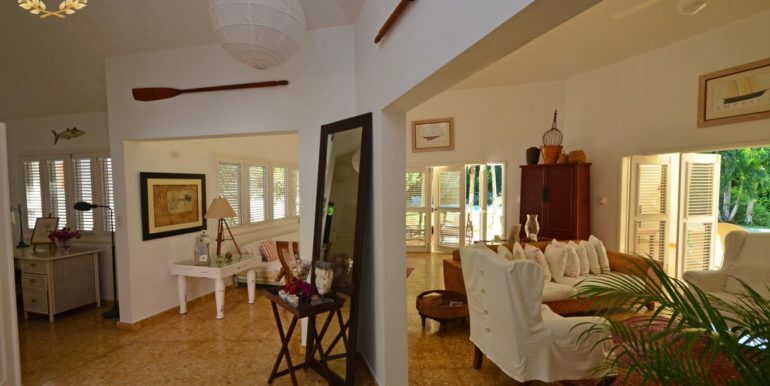 Contact Edward Rivas for a tour of this beach access villa for sale in Cabarete.